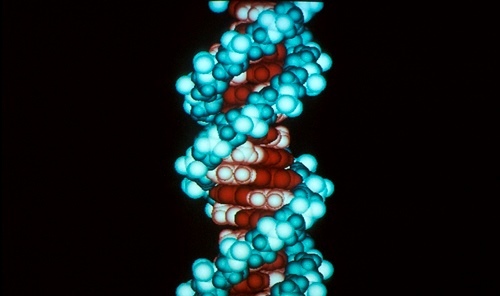 The introduction of the new DNA17 profiling technique in July 2014 provided the biggest change in DNA profiling in the UK for more than a decade. DNA17 replaces the SGMPlus® test for routine forensic casework. As its name implies, DNA17 tests seventeen areas of DNA rather than the eleven areas tested by the previous SGMPlus® test. This means that DNA17 is more discriminating, but more importantly other improvements have been incorporated which make the technique more sensitive and more robust. Therefore, as well as providing more information for comparison, the expectation is that the new system will produce profiles where one would not previously have been obtained. European Labs have been using DNA17 and also a DNA24 test for some time. A new DNA system was required to improve cross border comparisons and reduce the chance of an adventitious match with DNA Databases. These have become a high priority due to terrorist activities and international trafficking. DNA17 tests are also better able to produce profiles from small or poor quality samples which means that profiles can be obtained from samples that previously didn’t give any useful results. DNA17 will give better results with weak or poor quality samples as results can be obtained from extremely low levels of DNA. If a crucial sample in your case gave no useful results with SGMPlus®, ask if it can be upgraded as a profile may be obtained with DNA17. However, this increase in sensitivity has several consequences. In many cases it will be even more important to consider whether the DNA is truly related to the crime or whether it could have been transferred innocently. Despite stringent procedures, inadvertent transfer of DNA may occur via investigators, laboratory staff or processing equipment and such contamination will be more readily detected since DNA17 is more sensitive. The increased sensitivity of DNA17 also means that more DNA mixtures will be detected and hence more complex mixtures. However the good news is that software is now available to help interpret the results, so you should see less use of “unsuitable for statistical analysis” in expert’s reports. Despite the increase in the number of areas of DNA being tested, the statistic for a match with a full DNA17 profile will remain at 1 in a billion (1000 million) but the figures for relatives will be different. For a full sibling the match probability is 1 in 100 000 with DNA 17 whereas it was 1 in 10 000 with SGMPlus®. The improved sensitivity of DNA17 also means that fewer partial (incomplete) profiles will be detected, and there will be better discrimination when these are obtained. If a match produced by the National DNA Database is crucial for identification of an individual in your case, check whether both the crime sample and the individual’s profile have been tested with DNA17. If only SGMPlus® has been used there is potential for greater discrimination and possible elimination with DNA17. Experts’ reports may not appear significantly different to you except in the technical issues section or appendices about DNA. The term DNA or STR profiling will still be used but ‘SGMPlus’ will be replaced by ‘DNA17’ and you may see new terms such as NGMSElect, ESI17, ESX17, ESSplex which are the manufacturers’ names for the DNA systems used to produce DNA17 profiles. When DNA results are tabulated in the expert’s statement, there will be six extra columns for the new loci. However you will need to check the order of the loci if comparing tables produced by different forensic providers as they may have used different systems where the order of the loci varies. In conclusion, although DNA17 enables more profiles to be obtained and greater discrimination to be achieved, it is ever more crucial to evaluate how the DNA may have been deposited – is it related to the crime or could it have been innocently transferred? A DNA match is only part of the evidence and an expert evaluation of the DNA results within the context of the case is vital to ensure that the court is presented with a full picture of the evidence and what it means in relation to the both the prosecution and defence accounts. This is a just a taster of relevant information to help you with your cases, if you’d like to gain a better understanding about DNA, we can provide you with a tailored CPD session.